What happens in the hospital stays in the hospital. Wait, that’s not right. 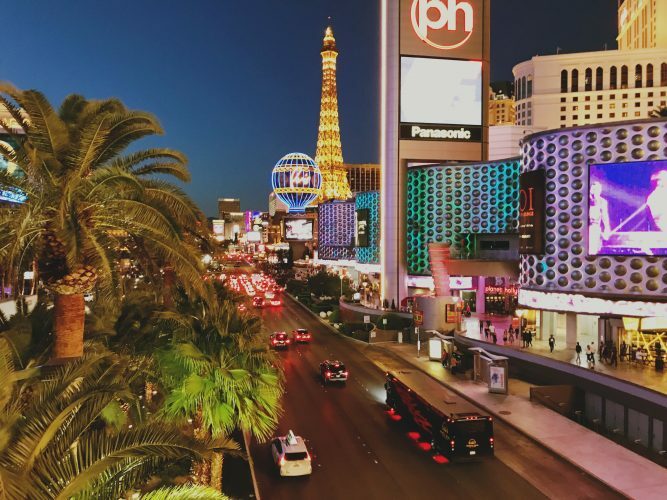 But these days you’re likely to find more than a few similarities between a visit to the Vegas strip and a stay in a med-surg unit. According to a recent article in the Las Vegas Review-Journal, hospitality has become the name of the game in healthcare, as more people pick their provider based on quality of service and share their opinions about that service online. It’s gotten to the point that, at UNLV, the School of Medicine is partnering with the College of Hospitality to help train tomorrow’s doctors. And it’s more than just friendly competition driving hospitals to score points on service. With reimbursements now tied to HCAPHS scores, which measure patient satisfaction, unhappy patients can influence both a hospital’s reputation and its bottom line. CMS’ controversial step to use HCAPHS scores as the basis for a five-star rating system only reinforces the impression that hospitals are akin to hotels and patients should be treated like guests. Of course this isn’t necessarily welcome news for short-staffed nursing units that are continually asked to do more with less. Now you’re supposed to serve as concierge and chief pillow fluffer in addition to saving lives? It’s a tall order, but those who study this trend say a few basics can help. The first is communication. Patient experience experts say that simply trying to do a better job of listening to and, frankly, just being nice to patients and their families can make everyone happier. The second is creating a more pleasing environment – everything from the furniture and fixtures to the care equipment itself. No surprise, we think the IVEA is key to improvement in this area. And it’s not just us. An IRB study underway at a major Texas hospital is finding that patients absolutely love the IVEA, and their enthusiasm has been instrumental to a smooth implementation. When you ditch every IV pole on a 36-bed med-surg unit and replace each one with a brand new piece of equipment, you invite revolt. The fact that the patients are over the moon about the product and more of them are using it to walk on their own has impressed the nurses and accelerated adoption. Hospitals aren’t hotels, nor should they be held to the same standards. But patients are customers, and given their power in the age of online reviews and CMS reimbursement regs, it would be shortsighted not to consider an affordable mobility solution like the IVEA as a means to improve care and put a smile on their faces. Call us today to learn more (970) 472-5323.